It’s exciting times right now where I live, because the Kentucky State Fair is currently happening! I personally have only been twice, a few years between one another, and both times were really fun, but attending the fair is something I do have to be extra cautious about. 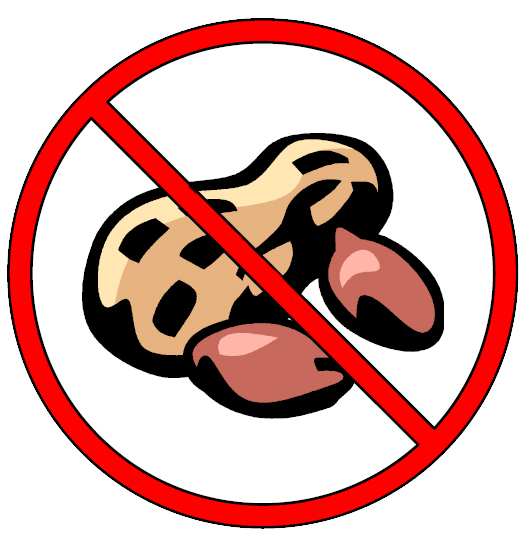 There’s a lot of potential peanuts around hidden in fried food, snacks, baked goods, and animal feed. With a little prep-work, it can be a good experience with little risk. I’m going to share my tips to attend a fair, picnics (i.e. church picnics, work picnics), and any festival. Bring your own snacks and drinks/water if you can. I’m not going to lie and say I haven’t snuck in some safe granola bars to a music festival or two (and had a few confiscated, which is annoying!) If I want to buy a drink, I would preferably try to find one in a can, and wipe the mouth area, or get something in a sealed bottle. At most music festivals they have water stations and typically let you bring an empty water bottle in, too. Drive yourself. In case your friends want to go to an area where it’s congested or closed-in, and you’ve explored everything you wanted to do, it’s nice to not feel you’re stuck wherever you are. Also if you feel you’re getting itchy, you need to be able to get out of there and not be reliant on someone else. Bring moist towelettes to be able to wipe any surfaces, your hands, tokens, change, anything! I recently went to a picnic where you had to exchange your dollars for dimes to play festival games, if I had known this, I would’ve raided my change to bring my own dimes, but I didn’t and as I exchanged my dollar bill for a small cup of dimes. I noticed the people putting the dimes in the containers were simultaneously snacking on salted peanuts. So you truly never know when you may be coming in contact with peanut dust! Side note: this does not change this tip, but is an interesting new study involving moist towelettes/wet wipes being connected to food allergies. If you are more comfortable and want to try festival/fair/picnic food, ask questions until you feel comfortable! Or if you know some vendors or food trucks that will be there, reach out in advance! If a vendor doesn’t know ingredients, you may not want to risk it, or if they do, but you feel in your gut you shouldn’t eat it, go with your instinct. If I’m going to be around a bunch of fried food and delicious food trucks, I either indulge at home in safe foods that are similar beforehand, so I don’t feel left out, or I eat healthy instead if that’s more what I’m in the mood for, and feel good about that choice. Always, always, always carry epinephrine and benadryl, I personally keep mine in a special carrying case that will keep them cool on a hot summer day. Bring a mask if you feel like there may be a chance you could want it! They are so easy to fit into any bag, I never really use mine, but get a sense of security when I’ve got one on hand. I hope this is helpful!! Enjoy the rest of fair, picnic, and festival season.